When Maddie Empey entered the Bio-Veterinary Science program on the Agricultural Campus four years ago, she was hoping it offer some unique, hands-on experiences. The Westfield, N.B. native didn’t necessarily think it would also introduce her to a new favourite food: bacon and banana pizza. Through her African Wildlife Ecology course, Maddie was able to take her experiences outside the classroom and into South Africa for three weeks last year. The class visited Tsitsikamma National Park Storms River Rest Camp, Addo Elephant Park, and spent most of its time conducting research at the Amakhala Game Reserve. While she spent the bulk of her time researching reptiles, Maddie and her classmates were also able to witness a rhinoceros tagging procedure first hand. As for her interesting taste in pizza? She credits South Africa for that as well. “Although it sounds like a weird combination, it is delicious, and I now make it here at home,” she says. Back home, Maddie was involved with the blue whale necropsies performed by the New Brunswick Museum Zoology team. Working with the team, she collected data and samples to determine why the whales had died. Maddie also has a side project with the New Brunswick Museum in which she writes natural research notes in collaboration with other scientists from that institution, usually on reptiles and amphibians. 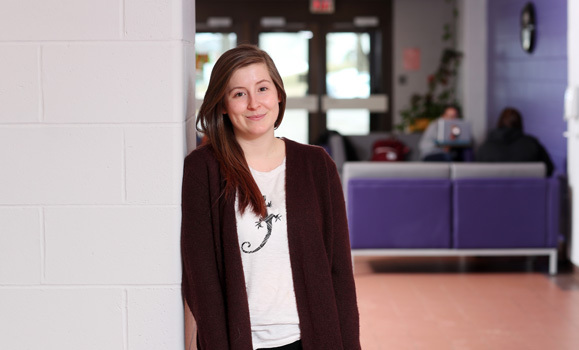 Back in Truro, Maddie is a peer educator with the Student Success Centre, and a RESPECT volunteer with Health Services. 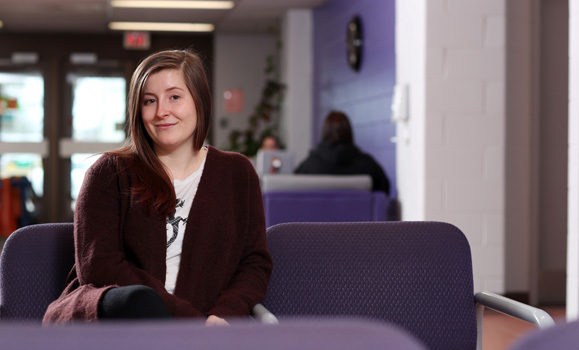 This year she also got involved with WUSC (World University Services of Canada) Club, which is involved with the education, employment, and empowerment of youth all over the world. Starting out as a social coordinator, Maddie became passionate about the club and was named co-chair during the winter term. This year WUSC also took part in the Coldest Night of the Year initiative for the Truro Homeless Outreach Society, and supported the Central Nova Women’s Outreach Centre. It was this type of community involvement that factored in Maddie receiving the Community Service IMPACT Award at the IMPACT Student Leadership Awards on the Agricultural Campus on April 3. This summer Maddie will be travelling back to Africa to do a special topics course on poultry nutrition in Ethiopia. She will be part of a team comparing different types of management, diets, and production systems to determine which ones produce better-quality chickens and eggs.